our SMAll adventure: Hoisting at the hairdressers, a public service announcement. Hoisting at the hairdressers, a public service announcement. Today I had my own mini adventure and wanted to share. For years my Dad used to pick me up and lift me into the hairdressers washroom chair so that I could have a full pamper session, but as the years passed it became more difficult and a lot less dignified so I resulted in home dye kits and a quick trim at the salon when needed, I'm sure lots of you know exactly what I mean! But this year my lovely David offered to lift me into a salon washroom chair again to have my hair rescued after a mobile hairdresser made a complete mess of my long locks, and since then i've felt so much better. Today, a huge milestone, I decided to take my mobile hoist with me to the salon so that my PA could transfer me, thats right, in public. 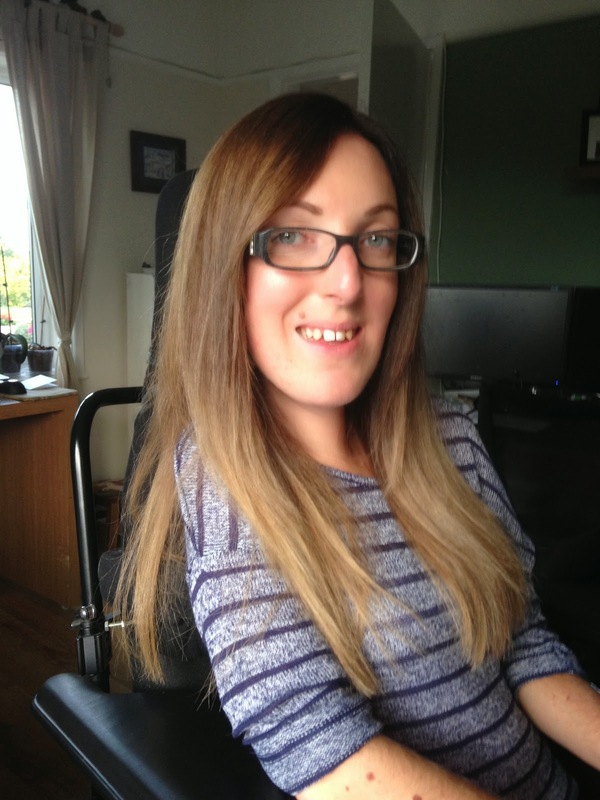 This is one of my massive pet hates and never really show that level of my disability in the public eye, but I can tell you now how wonderful it felt to be able to go and have my hair cut and coloured independently and in actual fact with more dignity than being lifted. So for any ladies here, or men for that matter, who feel embarrassed to use their hoist in public, just go for it, I can't wait to make my next appointment!